sqadia.com provides supplement to medical students in the form of medical video lectures delivered by experienced medical practitioners with the aim to improve the medical knowledge all around the world. In view of this mission, sqadia.com offers variety of medical lectures on forensic medicine. In this lecture of physical abuse and death in custody, forensic scientist sheds light on the autopsy appearances of fatal physical abuse, how beating leads to death and how it can be identified that the cause of death is beating. Death from burns and suffocation and deaths from electrical torture are also discussed here. 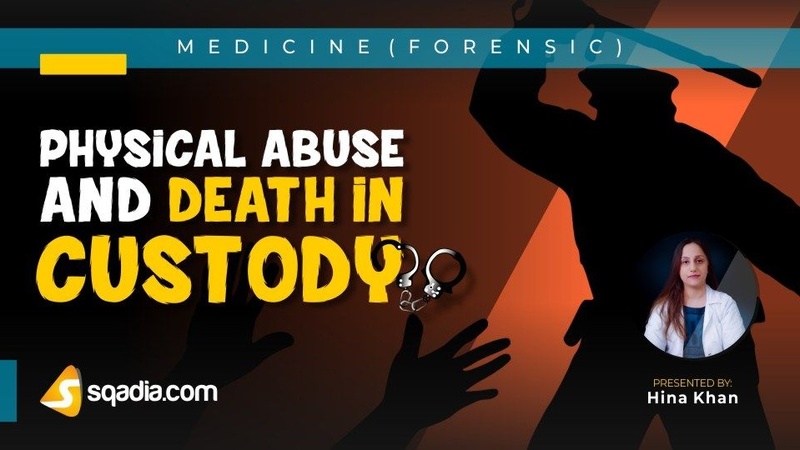 The autopsy appearances of fatal abuse are no different from those by any other homicide. Confirmation of lethal torture must depend upon circumstantial and other corroborative evidence. Certain features may arouse suspicion or provide definite evidence that the death had political overtones. Many instances of illegal death and injury are perpetrated by the military or the security forces. The fatal event may be quite different from the non-fatal abuse. One particular problem associated with human rights abuse is the frequent long delay before being able to examine the victim. Because of long delay, acute injuries will have healed, bruises absorbed, and wounds and burns scarred over. Beating is one of the most common forms of torture and can take many forms, varying both with the weapon used and the part of the body injured. Beating is not often the sole cause of death, though this can occur from haemorrhage, sepsis, injured internal organs or from sheer exhaustion and pain. Features of injuries from beating can be single or double edged linear bruise, confluent petechial haemorrhages, tramline bruise, scared healing, focal damage by metal tags. Falanga is a kind of torture in which the soles of the feet are beaten. The tough tissue and thick fascial planes of the foot do not readily reveal bruising, though it may be found on deep dissection in victims who have been killed by some other means. Burns are unfortunately common and may be either the actual cause of death or visible as recent or scarred evidence of previous torture. In victims of African origin, large keloids may form, and further complicate the damage and attempts at surgical treatment. Deaths from suffocation and drowning are not common, though non-fatal practices of this kind are well-known methods of abuse. Repeated dipping of the victim’s head under water or even foul liquid such as sewage is called ‘submarining’, and may cause drowning, air-passage occlusion or a later pneumonia. Cutting and stabbing may be inflicted with a variety of weapons, but wounds from knives and bayonets are most common in the context of torture. Clubbing and blunt injury is extremely common, either to cause death or as a form of abuse. The features are non-specific. Blows on the back or side of the neck can be particularly lethal from vertebrobasilar artery damage. Electrical torture is common and well documented. In electrical torture, main voltage of 110 or 240V is used or a magneto is used, which is painful but not lethal. Injuries to the ears can rarely be demonstrated at autopsy. Suspension is a common torture, though again not often fatal in itself. A death in custody is a death of a person in the custody of the police, other authorities or in prison. They may be due to natural causes; but they may also be instances of unlawful killing, or the result of ill-treatment or inadequate conditions of detention. A meticulous autopsy is a necessary part of the investigation. 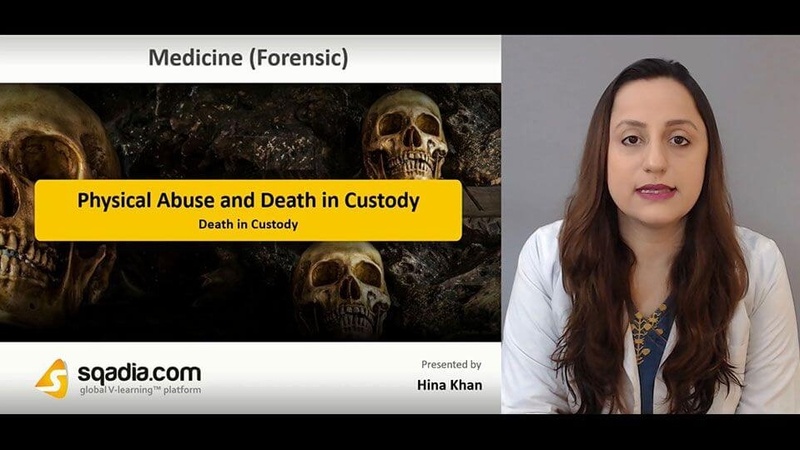 There are several situations in which death may occur in custody. The deceased may die during or soon after arrest by police officers. In case of death after OC exposure, a thorough autopsy, with ancillary investigations is necessary to assess whether the exposure to OC spray has been causative, contributory, or unrelated to death. Suicide in custody is not uncommon. Prisoners regularly manage to find some means of killing themselves. Strips of bedding material, sleeves of clothing and handkerchiefs have all been used for self-suspension.